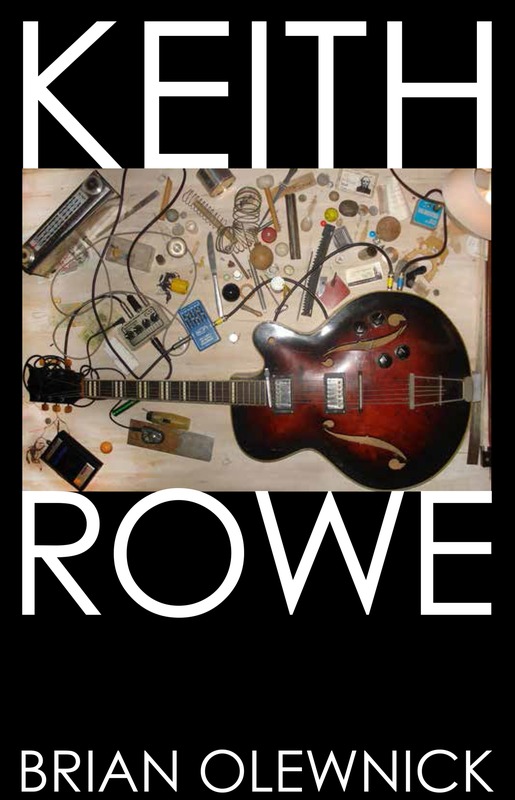 THE authorized biography of cult guitarist Keith Rowe, icon of improvised music for over 50 years. Over 12 years in the making and via exhaustive research and exclusive interviews Brian Olewnick has traced Rowe's life from childhood through the present, with focuses on London's mid-60s experimental music scene, the political unrest of the late 60s, the radical politics of the early 70s, the ongoing saga of AMM through the 90s and the accompanying advance of creative music over that time period, centered around Rowe's participation in those events and his major contributions to the contemporary avant-garde environment. Through the many ups and downs of AMM and beyond, Rowe has become an éminence grise to generations of musicians and is still today continuing to push the boundaries of what is possible in the world of sound. Brian Olewnick is a new-music writer and visual artist. He helped run the avant-garde jazz loft Environ from 1976-1980 and was eventually seduced into writing about contemporary music in various forms from jazz to modern classical, free-improvisation, and beyond. He has written for All Music Guide, The Wire, Time-Out New York, and other publications in addition to his blog, Just Outside, one of the principal sites for analysis of new music, where he has published over 2,000 reviews since 2006. He has given talks on the craft of writing about contemporary music in Philadelphia, Västerås, Sweden, and Sokołowska, Poland. He lives with his wife, Betsy, in Kinderhook, New York. Keith Rowe (b. 1940, Plymouth, England) is an improvising guitarist and electronicist. He is a founding member of the ensemble AMM (1965), a group combining aspects of avant-garde jazz and post-Cageian contemporary music and one of the most influential and revolutionary musical ensembles of the past 50 years. AMM drastically revised what was possible in music and stripped much baggage from the existing form, doing away with stars, solos, and even the necessity to play anything at all! 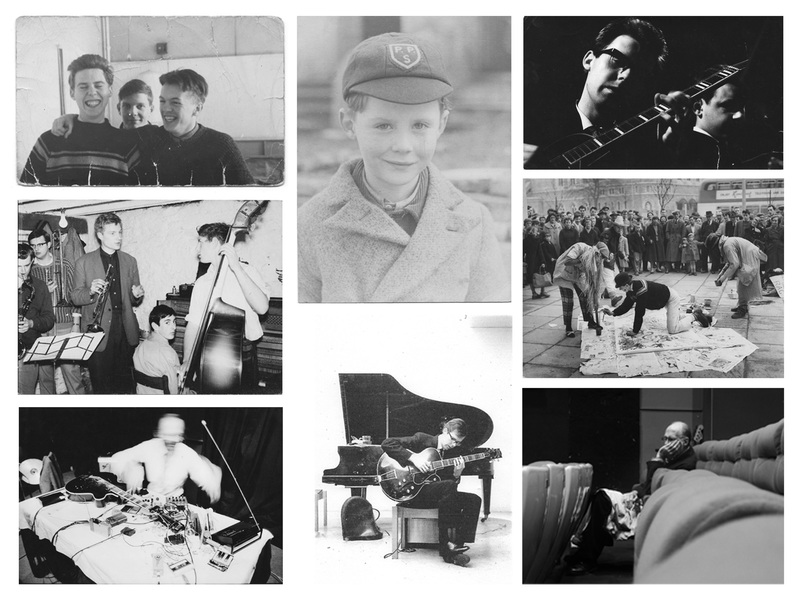 Their influence has been felt from rock (early Pink Floyd and Yoko Ono, to Sonic Youth, David Sylvian, and beyond) to "classical" (Christian Wolff and Merce Cunningham through the Wandelweiser school). His conceptual and technical advances have been adopted by scores of musicians through the years while he continues to move on into uncharted territory in recorded works, interactions with videographers and dancers, graphic art, and more. He has appeared on over 200 recordings and has been the subject of several exhibitions documenting both his sound and visual artwork. He lives with his wife, Stephanie, in Clisson, France. High-res scans to your specification are available upon request; scanning from the book or lifting images from the mechanical file are strictly prohibited. Mandatory credit line: From Keith Rowe by Brian Olewnick published by powerHouse Books.